Researchers at the University of Birmingham found that drinking water half an hour before each main meal may help you lose weight. Their research showed that something as simple as drinking a pint (500 ml) of water before at least one meal, but as often as before all three main meals of the day, resulted in an average of almost 3 lbs lost over the 12 weeks of the study. The most incredible finding was that those who “pre-loaded” with a glass of water before all 3 of their main meals lost an impressive 9.48 lbs over the 12 weeks. That’s just over 3/4th of a pound a week and nearly on par with the common recommendation of “one pound per week” for weight loss that many Popular Weight Loss Programs use. New research has found that taking one simple action, something you might already do, could help you lose weight. Just make sure to time it right and down the glass 30 minutes before a meal. While this study was was performed with obese subjects, these findings could have applications for anyone trying to lose or maintain their weight. 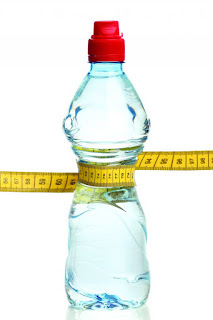 This study was different from past research which has shown water consumption to be an effective part of a weight loss program only when water takes the place of caloric beverages. While drinking water has wonderful health benefits, it didn’t seem that weight loss was one of them. “There is very little evidence that drinking water promotes weight loss; it is one of those self-perpetuating myths.” — Ben Kitchin Ph.D, R.D. However, research had shown that eating a diet containing mostly low energy density foods, many of which tend to have high water content per calorie, was associated with successful weight loss and weight maintenance. Generally, it’s believed that the high water content in those foods helped to fill the stomach, increasing satiety and feelings of fullness for longer, which resulted in less calories being consumed at a meal. The Biggest Problem With Why Is Weight Gain Such An Issue? Because being overweight is linked to a number of chronic diseases such as heart disease, dementia, Alzheimers, cancer, and diabetes, whose rates have been rising so rapidly it’s been described as the Biggest Epidemic of the Twenty-First Century. Due to the causative relationship that has been established between excess weight and these diseases, weight gain has been identified as one of the primary public health concerns of the United States moving forward. Unfortunately, as a society, we’ve become increasingly overweight, even obese, for decades. It’s now believed that up to 70% of Americans classify as overweight. All despite the 64-billion-dollar diet industry. In fact, it’s estimated that in 2012 as many as 100 million Americans were on a diet. So, it’s clear that the current weight loss interventions are not working for most Americans. This is why it’s so important that we find and implement simple, painless, and easy techniques to accomplish strategies that combat our growing waistlines.